The Tuscan-Emilian Apennine (TEA) National Park is home to three fun-filled adventure parks, one being the largest in all of Italy. They offer exciting outdoor activities that are suitable for all ages. Spice up your Italy trip by spending a day at one of these thrilling venues! 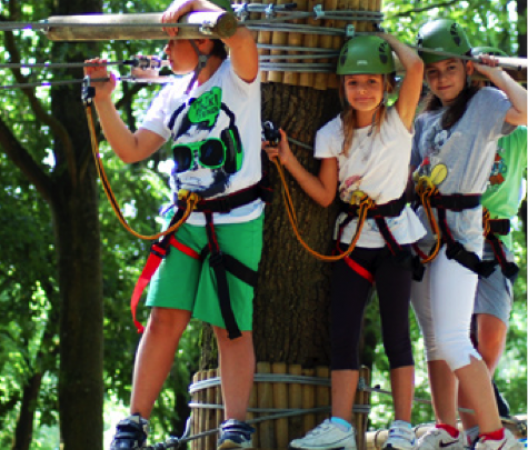 Cerwood is the largest adventure park in Italy and is located right in the TEA National Park! The property is open to the public while specific activities are priced separately, allowing visitors to enjoy the outdoor lounge areas and trails at no cost. A few of the highlights are: the 15 course ropes course, a rock climbing wall, mini golf and a paintball arena. Consider visiting Dedalus, an atelier or laboratory museum, which allows hands-on learning. Cerwood Adventure Park is located near natural hot springs. The entrance to Terme di Cervarezza, also a National Park Information Point, is near the Cerwood Adventure Park entrance. You can have two amazing experiences in one day! 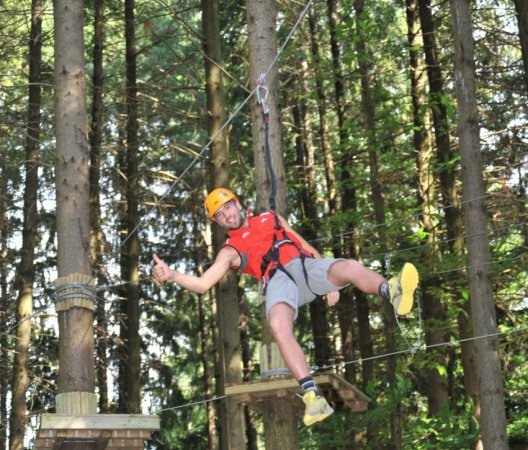 ForestAvventura is an adventure park built in the neighboring woods of the ski resort of Prato Spilla. The park features a 12 course ropes course that consists of 5 easy routes for children and 7 routes for teens and adults. In the summer, ForestAvventura is an excellent starting point for relaxing walks with the whole family or for a nature excursion with a guide. Mountain bike rentals are available as well as picnic areas and lakes for fishing. Selva del Buffardello has been operating in the town of Garfagnana for over 10 years. Inside there are picnic areas with barbecues, a bar for refreshments, a playground, and a large lawn where guests can relax and play. Access to the park is free. 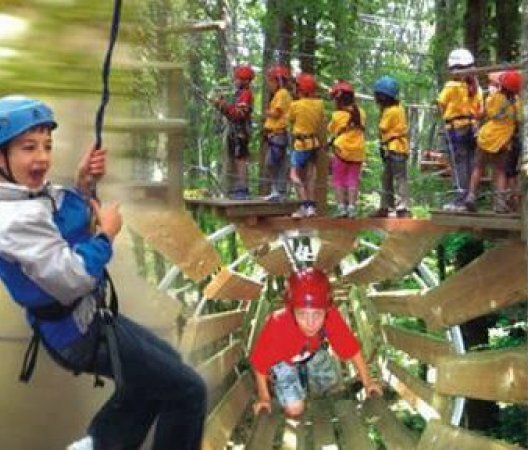 For a small fee, visitors may take on the adventurous ropes course, but be careful this isn't your typical ropes course. There is a spiteful elf lurking in the woods that has placed 'traps' all throughout its 11 paths. 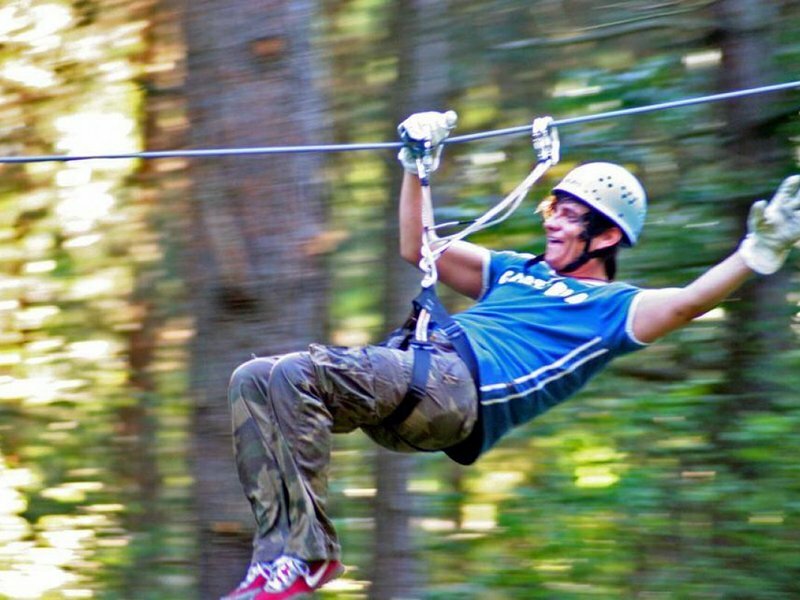 Go to Selva del Buffardello Adventure Park and give it a try, if you dare. The Adventure Park is very close to Parco dell'Orecchiella, an outstanding nature center, and the Fortezza di Verrucule, an imposing fortress from the past.